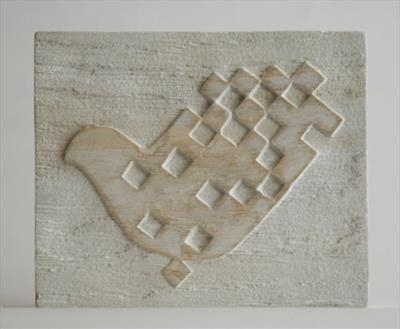 A small wooden bird relief, similar to the wooden bird assemblage sculpture. Framed and wall mounted. created in Jilly Sutton's studio in Devon.